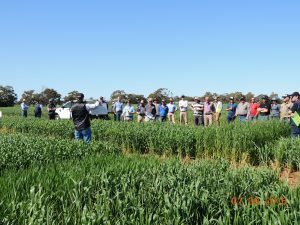 Alistair Pearce then presented the Durum versus Bread Wheat gross margin trials which is supported by SAGIT, with Durum likely to present a significantly higher gross margin to Bread Wheat this season. 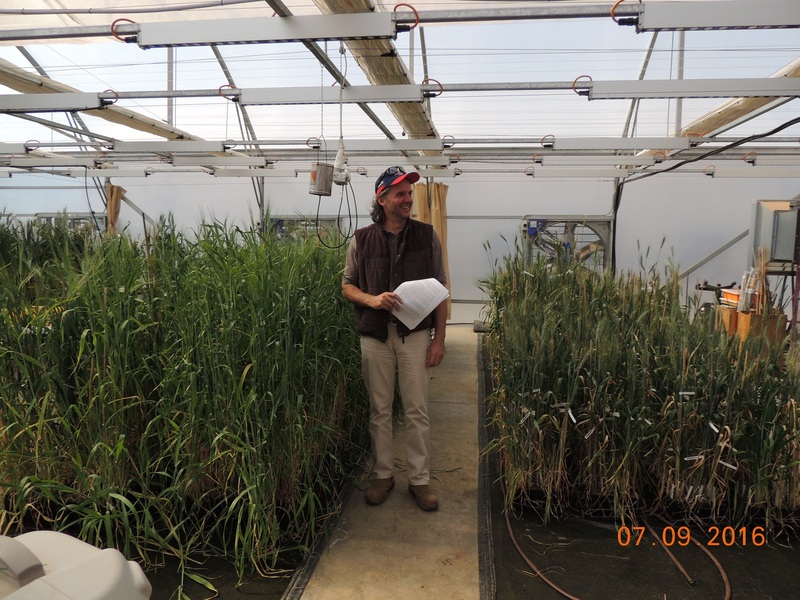 The gross margin sensitivity analysis trials compare 4 Bread wheats with 4 Durum varieties. Dr Jason Able followed presenting the CAIGE CIMMYT trial which is a project in collaboration with GRDC. 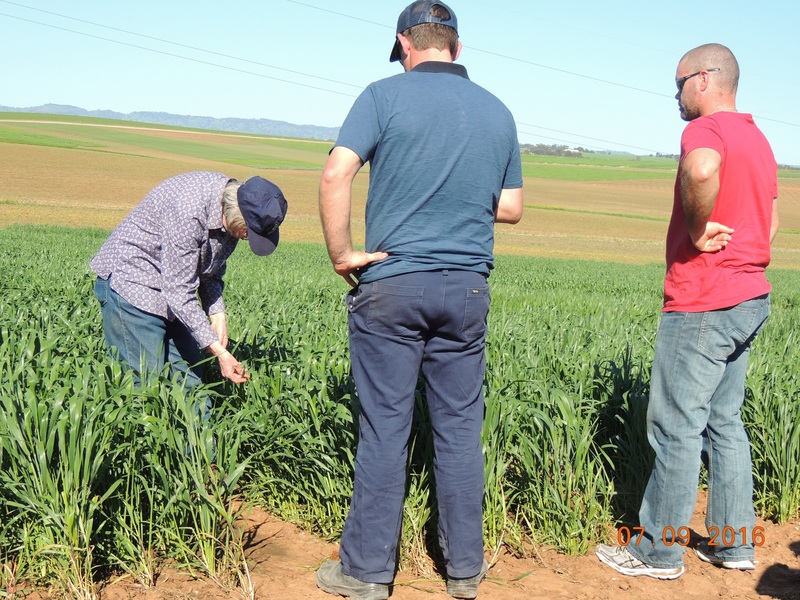 This trial was looking at the differing pathology and maturity of the Durum lines that are being developed in overseas nurseries before being imported here to Australia for evaluation. There are more than 150 unique elite entries in this trial. 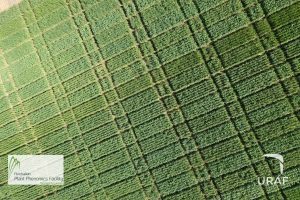 Rhiannon Schilling and Lucy Cunningham from University of Adelaide spoke on the Dispersive Soils trial which is also funded by GRDC. The girls showed us how the ph ranges from ph7 at the soil core and at one metre this changes to ph10, showing an alkalinity disposition. Salt was not identified as a major issue for this site (only moderate at depth) but they are interested in looking at water logging. The drone is being used to do thermal imaging on these trials. 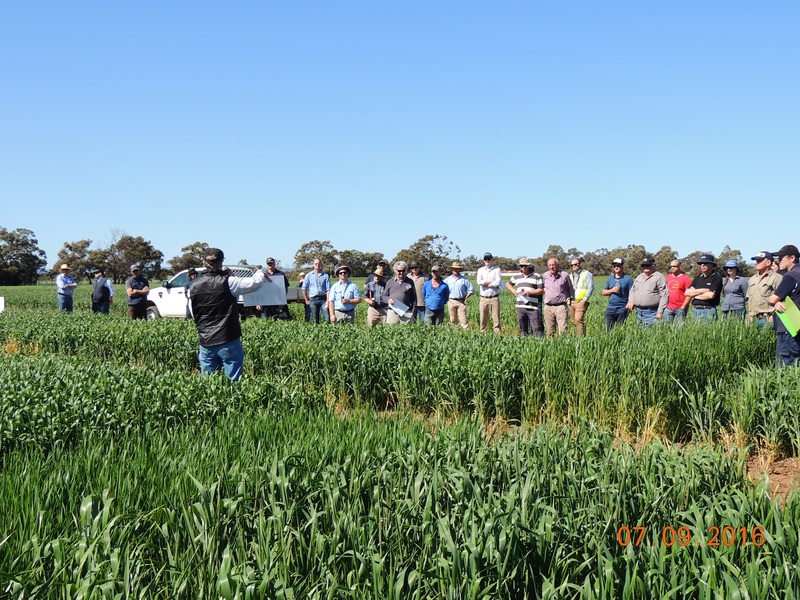 Hugh Wallwork spoke on the Crown Rot trials that have been undertaken with the University of Adelaide breeding program, and provided a brief background and history of the trials. 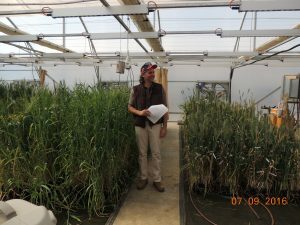 Hugh then spoke on the current status with these trials which are consistently demonstrating good resistance and which have showed good adaptation in the field in 2015 and which are now in yield trials with SADGA new grant funding from SAGIT. 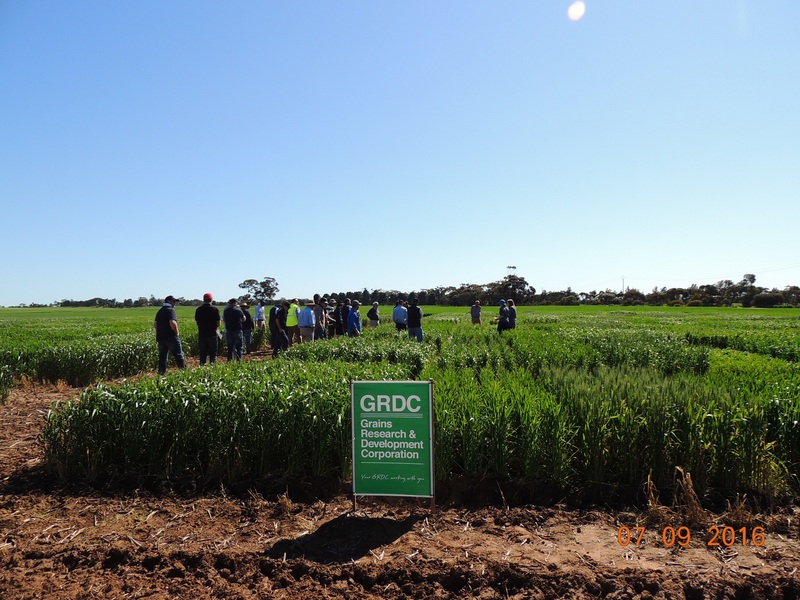 Crowd at Crop Walk listening to Hugh Wallwork discussing the Crown Rot Trials. The attendees then proceeded to the Heat Chamber to view the Heat Tolerance trials which are funded through SAGIT. Stuart (AGT) and Jason informed us that Durum lines were stacked up against Bread Wheat lines and spend three eight hour days at 36 degrees with 40 kilometre northerly winds. 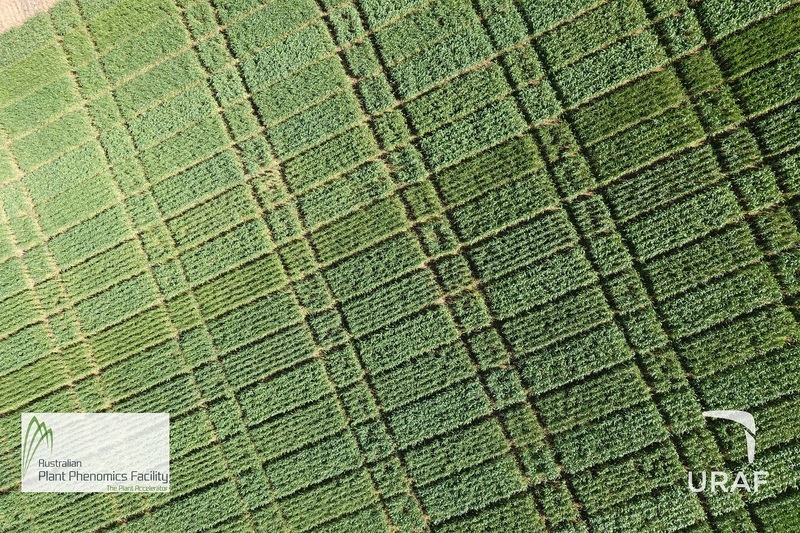 In 2015, Aurora proved quite useful and while losing some yield potential, results suggested that it was a good line for many of the key determinants used when measuring heat tolerance. Beyond lunch, the day was concluded at Turretfield with Marg Evans presenting the SAGIT/SADGA Crown Rot trials looking at yield loss with relevant crown rot and also plant density trials. Marg Evans and two farmers inspecting the Crown Rot trial.